Does G7 set a precedent with Sotoudeh for inviting human rights defenders? Radio Farda on 8 March 2019 reported that France’s President Macron has decided to invite jailed Iranian Human Rights Defender Nasrin Sotoudeh to the G7 Council. This is an excellent idea that deserves follow-up in other such forums. There are quite a few laureates of human rights awards who are in detention or subject to a travel ban. An invitation from a group of important world leaders is hard to ignore! Ms. Sotoudeh is to be a member of the consultative council for gender equality in Group 7. Khandan said Iranian women should be proud of Soutoudeh’s membership in the G7 council. Copies of the invitation have been handed to the Iranian Foreign Ministry and Bar Association. Nasrin Sotoudeh has been in Jail since June 2018 with a five-year imprisonment sentence and is facing more charges for defending human rights activists in Iran. She is an outspoken opponent of the death penalty and compulsory hijab. Sotoudeh, 55, is the winner of numerous international awards, including PEN/Barbara Goldsmith Freedom to Write (2011), Southern Illinois University School of Law Rule of Law Citation (2011) and Sakharov Prize (2012). On 21 September 2018, she was awarded the 23rd Ludovic-Trarieux International Human Rights Prize. Celebrity support for human rights can do much good but there are still too many who simply do not study the issue before accepting. [see: https://humanrightsdefenders.blog/2014/02/28/and-the-nominees-are-oscars-for-human-rights/]. Two days ago Brian Rohan of Associated Press, reported that actress Helen Hunt just added her name to the list of ignoramuses (“Egyptian activists pan US actress Helen Hunt in open letter” – 7 November, 2017). Egyptian activists condemned American actress Helen Hunt on Tuesday for her participation in a government-organized youth conference they say is whitewashing authorities’ appalling human rights record and suppression of free speech. The open letter by Mona Seif and other well-known human rights advocates gained nearly 300 signatures by Tuesday afternoon. They included Mohamed Zaree, who last month won the Martin Ennals Award, and Aida Seif el-Dawla, whose Nadeem Center treats victims of torture and trauma and was shuttered by the government earlier this year. 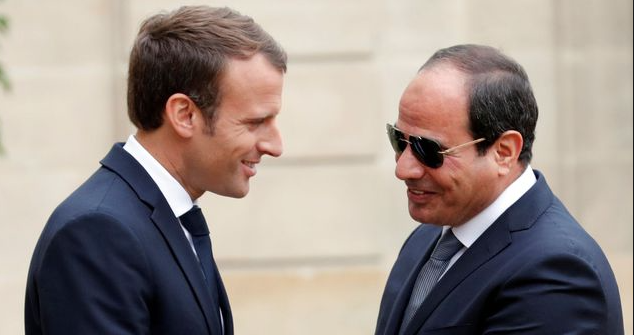 The letter follows a flurry of online criticism against this week’s “World Youth Forum,” hosted under the patronage of President Abdel-Fattah el-Sissi, 62, in the Red Sea resort of Sharm el-Sheikh. Hunt, 54, was a keynote speaker at the opening ceremony. The event’s official Twitter hashtag #WeNeedToTalk has become a battleground for opposing viewpoints, with critics overwhelming the thread with images of Egyptian police beating and chasing down youths during el-Sissi’s rule alongside portraits of young jailed activists. “This isn’t just any forum that you chose to endorse,” the letter to Hunt read. “This is a youth forum with the slogan ‘We Need To Talk’ called for by a dictator who cannot stand any form of opposition or real criticism. He jails journalists for doing their jobs, youth for expressing their opinions, writers for writing fiction that violates ‘public morality,’ gays for coming out, supporters of LGBTQ for daring to support diversity, and he has blocked more than 400 different websites and media platforms. The forum, which lasts until Nov. 10, has been broadcast nearly all day long on state and private television since its opening ceremony Sunday night. It has been widely promoted with slick television ads in Egypt, where several major Western PR firms advise and work for the government. A giant billboard hovers over Cairo’s Tahrir Square, epicenter of the youth-led 2011 uprising. Hunt, an Academy Award-winning actress who now directs films, delivered a speech Sunday in which she criticized the U.S. justice system for its high incarceration rates and voiced support for the online anti-sexual harassment movement #MeToo. That, however, did not deflect criticism from Seif and other Egyptian feminists. “Unbelievable Hypocrisy! @Helenhunt speaks of “Women Rights” in a PR circus for a general who justified forced virginity tests,” Seif tweeted, referring to the military’s “virginity tests” conducted on a group of women protesters detained in 2011. El-Sissi, who was the chief of military intelligence at the time, was quoted then as saying the tests were necessary to head off possible allegations that the women were sexually assaulted by soldiers. Others accused Hunt, the most famous Western celebrity at the event, of selling out to el-Sissi, pointing out a string of websites that advertise her as a for-hire speaker with fees between $50,000 to $1 million. Hunt did not respond to a social media request to discuss her efforts in Egypt. The Jury of the Martin Ennals Award for Human Rights Defenders, the highest accolade in the international human rights moment, has just announced that Mohamed Zaree, a human rights lawyer from Egypt, has been selected as the 2017 Laureate. The announcement was made on 10 October at 18h30, during the annual ceremony in Geneva. You can still follow it through live streaming at this very moment: via: https://www.facebook.com/villegeneve.ch/. Mohamed Zaree is a human rights activist and legal scholar whose work focuses on human rights advocacy around freedom of expression and association. He is also known for his role as the Egypt Country Director of the Cairo Institute for Human Rights Studies (CIHRS), which works throughout the Arabic speaking world. He assumed this role after government pressure on CIHRS prompted them to relocate their headquarters to Tunis in 2014. The Egyptian government has been escalating its pressure on the human rights movement. Human rights NGOs and defenders are confronted with a growing wave of threats, harassment, and intimidation, legal and otherwise. Despite this, Zaree continues to lead CIHRS’ research, human rights education, and national advocacy initiatives in Egypt and is shaping the media debate on human rights issues. During this critical period for civil society, he is also leading the Forum of Independent Egyptian Human Rights NGOs, a network aiming to unify human rights groups in advocacy. Zaree’s initiatives have helped NGOs to develop common approaches to human rights issues in Egypt. Within the context of the renewed crackdown on Egyptian human rights organizations, he has become a leading figure in Egypt’s human rights movement. Zaree is currently facing investigation under the “Foreign Funding Case” and is at high risk of prosecution and life imprisonment. The “Foreign Funding Case” highly restricts NGO activities. Despite this, Zaree continues to engage the authorities in dialogue wherever possible, arguing that respect for human rights will increase stability in Egypt. Zaree has been under a travel ban since May 2016. The unique composition of the Jury of the MEA [a coöperation by 10 global human rights organizations, see www.martinennalsaward.org for more detail] makes this award the most important prize in the human rights world. It is supported by the City of Geneva. The ceremony is in English and French and features 3 short documentaries on the finalists as well as the announcement of the Laureate 2017 which the Jury of the MEA decided on this morning.